Sally Bell DEP, Member of the EPAUK and BHSAI has just developed one of the only dedicated barefoot facilities run by an Equine Podiatrist in the UK, offering specialised rehabilitation livery for horses and ponies needing to recover from more serious or long-term hoof health issues. 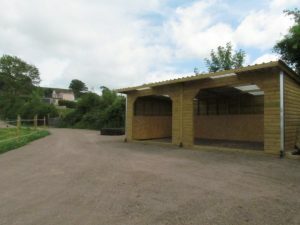 We also have 6 unique opportunities for part livery on a permanent basis…..
We can provide totally flexible management systems depending on the horses’ individual needs – A surfaced track can be mixed with an Equicentral type system and grass/dirt tracks, and we can also strip graze or provide full turn out. 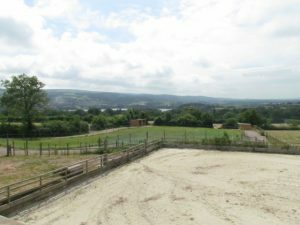 Stable and yard facilities are available along with a 25m x 45m fibresand arena, and stunning hacking around quiet country lanes and bridleways. 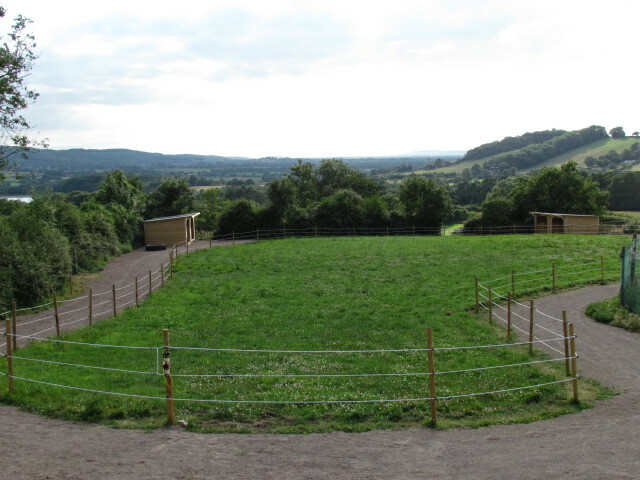 Our track has 2 large airy field shelters, natural shelter and foraging from trees and hedges, a sand pit for rolling, and scratching posts, meaning that all essential horse behaviours are catered for. The surface is easy enough for comfortable movement, whilst more challenging optional areas help to develop hooves further when appropriate. Conditions such as Navicular, Underrun Heels, Laminitis, Thin Soles and significant hoof infections often benefit from a concentrated initial approach, and even a straightforward transition from shoes to barefoot may be made easier. As well as the trimming and daily hoof care, providing the correct nutrition and a suitable environment along with appropriate work will all contribute to improvement. Both Livery options include daily basic care, hay, feed and a bespoke forage balancer along with regular trimming. Rehabilitation Livery is a more concentrated approach and also includes basic topical hoof treatments, use of hoof-boots if needed, and appropriate work. Part Livery is £95 per week, and Rehabilitation Livery is £180 per week. Please ring to discuss individual cases and requirements. We are situated in the Chew Valley, just 9 miles south of Bristol, with easy access from M5, M4 and just 3 miles off of the main A38.